Burns Bog Conservation Society is non-profit environmental organization working to conserve and protect Burns Bog, a globally-unique ecological wonder in Delta, British Columbia. Wednesday, November 24, 2010 – Delta, B.C. – The Burns Bog Conservation Society announced today that it has delivered a statement of claim to Federal court office. The Society claims that the Federal Government has violated the conservation covenant to protect Burns Bog. 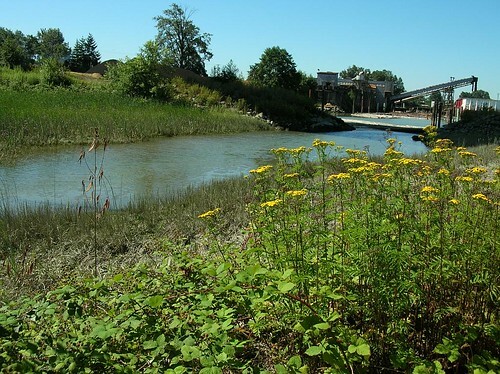 The freeway will cause irreparable harm to critical habitats of the Fraser delta including the bog, farmland, and the forests and wetlands located in Surrey and North Delta. As such, Burns Bog Conservation Society, with a grant from West Coast Environmental Law, has hired Vancouver lawyer Jay Straith to advocate on their behalf. 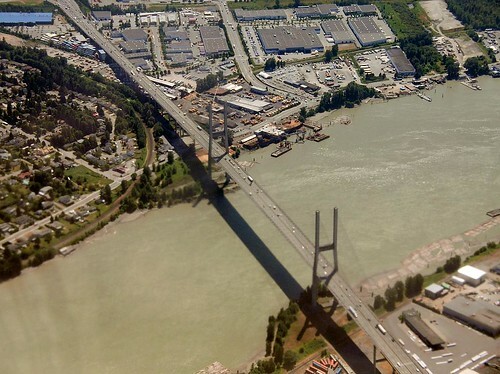 Fails to meet the legal requirement of assessing the overall cumulative effects of the South Fraser Perimeter Road, in combination with related Gateway Projects such as the Delta Port expansion and Golden Ears Bridge. It’s not too late for our governments to do the right thing. According to documents obtained under Freedom of Information requests and released yesterday by a group opposed to the project, the government ignored the advice of Ministry of Environment scientists and went ahead with the highway, making only modest changes to construction plans. “I don’t think they addressed the concerns raised by their own scientists in any meaningful way,” Donna Passmore of the Gateway 40 Citizens Network said. By dint of sheer persistence, much of correspondence between the provincial and federal agencies reveals that the proponent (the Ministry of Covering BC in Concrete) was well aware that the South Fraser Perimeter Road would be an environmental disaster and that the proposed mitigation was useless. Yet the BC Liberal government pressed on ahead anyway. Even rushing to get pre-load started before contracts were signed in order to claim “victory” before the election. Environmentalists and activists have been saying that the SFPR did not meet even the present government’s weakened standards. Scientists raised serious objections. So did the people impacted by the project. The misrepresentations of the facts by Minister Kevin Falcon and Premier Gordon Campbell have continued – with both of them claiming that there were “extensive environmental reviews”. Of course what they did not say was that the results of those reviews were ignored and they hoped that if they were buried, no-one would have the patience to dig them up again. Well Donna has – and her timing with this release could not have been better. Delta South has looked like a very unsafe seat for some time. The Delta hospital closure was just the first of a series of decisions unpopular with residents. The Tsawassen treaty, the power lines, the port expansion and the SFPR all made people in Delta feel they were being ignored and dumped on. The emergence of a popular local politician – Vicki Huntington – to run as an independent in what has been a easily held Liberal stroghold showed how much contempt the party has for its own supporters. The gamble was that the locals would not vote NDP – but that did not mean they will not vote against the government. Wally Oppal was handed the poison chalice. He had a safe seat in Vancouver but was persuaded to run in his home riding. Maybe he has just had enough of politics and is seeking this way as earning an honourable retirement – taking the bullet for his party. I would like to think that this event will have wider resonance. Because the trashing of environmental protection has been a hallmark of this government. They started – under Minister Falcon in his previous job – with gutting the regulations. Then they also cut the responsible ministry by 50% – and eliminated the positions that were supposed to protecting us and our environment. And then they started the swathe of projects – the Gateway, the IPPs and all the rest – that are now comprehensively trashing “the best place on earth”. And every time anyone objected they learned that objection was useless. All the time the same Minister claimed a thorough environmental process was followed. He knew that was not true – and now we have the evidence. He was lying. Not spin, not half truth but deliberate deceit. The BC Liberals are saying that they deserve to continue in government because they can be trusted. We know they do not keep promises – BC Rail proved that. We know now for certain they are liars. They have managed to dodge the legal consequences of BC Rail by prolonging the court case for as long as possible. Five years and counting. But they cannot now dodge the judgement of the ballot box. If we re-elect the Liberals we only have ourselves to blame. …Surrey might get a temporary advantage, but the move will pit municipalities against one another. He said his city already has some of the lowest development cost charges and has no plans to cut or defer them. “We’ve been a popular place for development so we’re not in a position where we’re trying to encourage developers in what we see is a race to the bottom. It’s very discouraging,” he said. Indeed, I could not have put it better myself. I have been in BC since 1994 and one of the first things they told me about when I got here was that municipalities would not try to take an advantage by offering this kind of deal to industry. Industrial development is the only land use that pays more in taxes than it costs in municipal services. Other kinds of development – especially residential – cost more to service than they bring in in new taxes. This kind of “beggar my neighbour” policy has been generally avoided. Because in the long run, no municipality gains from this approach – the developers simply pit the municipalities against each other. Moreover, once this competition starts there is nothing to stop a business packing up and leaving once its tax concessions run out and get them from some other municipality. And there are plenty of places where that has happened. Mostly to the south of here. Bridgeview is also the community where houses are being torn down to make way for the South Fraser Perimeter Road. As Bernadette “No Trucking Freeway” Keenan has noticed, this area really does not see any traffic congestion in the afternoon peak – usually the busiest time of day for most roads in the region. Her comments can be heard at 2 minutes in to this video. But of course the SFPR is not about traffic – or the needs of the truckers to get to the port – it is about turning residential land into industrial land. Just that zoning change will make money – as it has along the same route through North Delta, where the prize is even bigger since even more money can be made if the land was formerly protected bog or farmland. What Mayor Watts is tacitly admitting is that in these tough economic times, even ripping down houses and building a new four lane road is not enough to attract business. The premise of the SFPR is that growth is always good – and that land prices will always rise. But that ceased to be true around the middle of last year in this region – and about 18 months earlier than that in the US. Indeed, it is hard now to find financing for almost any kind of development since the people who used to fund this sort of thing are now bankrupt – or left holding all sorts of unpriceable paper “assets” and are hoping for yet more bailout funds. The first tranche of which has already been squandered by the bankers on their own bonuses. For the life of me I cannot understand why the Sun thinks it should be a business booster. There are plenty of people around like Maureen Enser who will do that. Surely the role of a newspaper should be to ask questions and try to look behind the smoke and mirrors? The Sun of course is not really a newspaper at all. You have to look elsewhere for examples of real journalistic standards. This story is, sadly, typical of their uncritical view “what benefits a business must be good for all of us” – which most of us with some experience of the world know is far from true. It is a sad day for Surrey – and the region as a whole – that we all now face yet another first hand learning experience that we could easily have avoided. A Guest Post from Carmen at Gatewaysucks.org. project, and are supporting each other. With this and the collapse of funding, it is highly possible that this freeway-building insanity may be stopped. Attached is our press release …thank you for following this mportant story as it continues to unfold! SURREY – On Saturday morning, after a 5 day/24 hour blockade encampment, concerned citizens witnessed the demolition of the last house standing in the way of the proposed South Fraser Freeway in Surrey’s Bridgeview neighbourhood. This working family neighbourhood is the first targeted by the Gateway, Project, forcing many residents with deep roots in the community to leave. The demolition equipment was escorted through a back entrance to the property under guard of private security hired by the Ministry of Transportation. “This freeway is threatening to destroy communities all along the river, and outdated freeway projects like this are cooking our planet,” said Tom Jaugelis, a North Surrey resident and spokesperson for the group. “Instead of spending billions on the Gateway project, we should be investing in green jobs like the public transit that Surrey needs right now.” The Livable Region Coalition estimates that the Gateway project would increase carbon emissions from cars and trucks by 30%. Ministry officials plan to lay pre-load sand throughout the neighbourhood so the boggy area will be suitable for paving in about three years. Although the government has spent about $100 million expropriating properties and dumping sand, the project design has not been finalized and no builder has been selected. In the days of Social Credit we actually had Socred appointed Agricultural and Commissions that stood up for the ALR and opposed government plans to allow farmland to be developed. Ian Payton refused to remove Terra Nova from the ALR and the Commission was overruled by the government but the integrity of the Commission was unquestioned. The most alarming aspect of this approval is the Land Commission’s reasoning for doing so. First, allowing the use of agricultural lands “in deference to the provincial benefits of improved transportation” is not the role of the Land Commission. The role of the ALC is to preserve farmland. Second, their statements justifying the decision are unbelievably Orwellian. There can never be “substantial enhancements to agriculture” when substantial amounts of farmland are lost. It is true there were “45 years of planning and decision making by national, provincial, regional, and local levels of government.” The reason it took 45 years is because most of those levels of government were opposed to the project and prevented it from happening. WAC Bennett initiated the Roberts Bank Superport proposal in the 1960’s. The regional government, the Lower Mainland Regional Planning Board (now Metro Vancouver), refused to allow the development onto farmland. Bennett disbanded the board and took away their zoning powers. The top scientists for the BC Fish and Wildlife Branch and Environment Canada published a booklet on why the Delta farmlands should never be developed and should be preserved for the Pacific Flyway. At the same time an international development company, Western Realty, was attempting to buy up as much land in Richmondand Delta as possible to cash in on the expected bonanza. Along with Richmond Council’s rezoning of 12,000 acres of farmland in the 1960’s these were the main reasons the Agricultural Land Reserve was established in 1973. The Commission states that “the need for the SFPR can be traced back to decisions in the 1960’s to build a port at Robert’s Bank” but ignores the fact that the commission itself was established in 1973 to stop the expansion of the port onto farmland at Robert’s Bank. 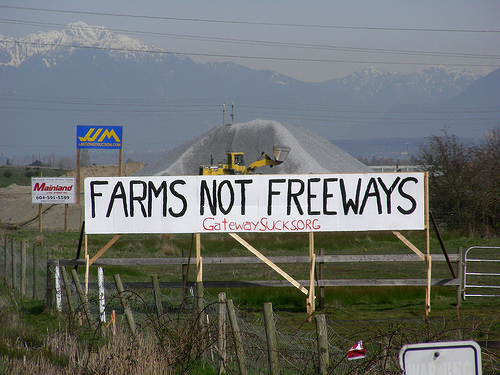 Metro Vancouver and subsequent local councils in Delta have consistently opposed development of farmland in Delta ever since. During that entire time local and regional government, and until recently the provincial government, were opposed to expanding the Robert’s Bank port onto farmland. Nowhere in the commission’s judgement have they discussed the effect of the compounded collective loss of about 1,000 acres of farmland due to the SFPR, TFN development, railyard development and Delta Port expansion onto farmland for container storage. Loss of critical mass speeds up urban sprawl. It accelerates crop loss by concentrating the migratory waterfowl onto the smaller area that remains, and fewer farms means that farm services move further afield. That affects the survival of all of the farms that are left. The BC Ministry of Agriculture states that we need to find an additional 200,000 acres (90,000 ha) of irrigated farmland in this region by 2025. Irrigation and drainage will be ssential but destroying farmland to get it cannot be justified. If we are to have food security and agricultural sustainability we should be adding land to our farmland inventory in the region not losing it. There are properties in Delta that could be acquired and rehabilitated for agriculture. The Land Commission should be demanding the addition of land to the ALR acre for acre to make up for the loss of 1,000 acres. The more land we retain the more land we can irrigate in the future. Conditional approval of the highway by the Land Commission does not guarantee the money will be spent to make the improvements or that it will work. In Richmond, Highway 91 cuts a large swath through farmland in east Richmond and is the main reason $10 million worth of drainage and irrigation improvements are needed. The federal governments answer (under the Liberals) was to provide the funds for agriculture by taking 136 acres of the Garden City Lands bog out of the AlR for residential development. Trees in another 300 acres of the Garden City Lands bog are dying because Highway 91 and other roads around the perimeter of the bog have affected the hydrology and the normal rise and fall of the water table. There are alternatives to the SFPR. Highway 10 has recently been widened, which should meet our immediate needs. Some container transport can be accomodated by container ferries to Richmond and Surrey. If an inland port were established at Ashcroft where the two national railroads meet, the SFPR and Delta Port expansion would not be necessary. Rail is also one of the answers to curbing global warming caused by trucks and to rising fuel costs as oil reserves decline. Once development of an area begins it is difficult to stop. By giving conditional approval to the SFPR land speculators will be encouraged that their time will come. The Land Commission has inadvertently guaranteed that there will be increased pressures on Delta farmland and further attempts to make incursions into the ALR in Delta in the future. Two private land owners are going to proceed with work on the SFPR, with the Province’s encouragement and a promise to reimburse them. The SFPR cannot be built until the Agricultural Land Commission rules on the future of up to 90 hectares of land.This was part of the “Sophie’s Choice” – either Burns Bog or agricultural land had to be taken for the road to follow the south bank of the Fraser. Of course, if it really was about connecting Deltaport to Highway #1 as the proponent claimed, there was a better route. That was never considered. The SFPR is less about transport and much more about changing land use – a process that makes millions by a stroke of the pen. The cost, of course, is far more than money. “We’ve been fighting this, knowing the fix is in from the beginning,” protested Harold Steves, a veteran Richmond farmer and city councillor who heads Metro Vancouver’s agriculture committee. Well, until the spring of next year anyway.